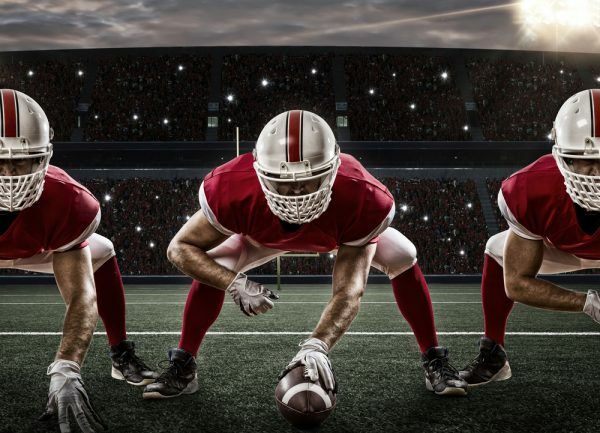 Analysis by password manager company Dashlane shows that with the football season getting underway team names are frequently used as passwords. Researchers focused on team names from the National Football League and the English Premier League, using an anonymized database provided by Gang Wang, an assistant professor in the Department of Computer Science at Virginia Tech. The Philadelphia Eagles, winners of this year's Super Bowl, took the top spot for the NFL, while the Dallas Cowboys came in second. 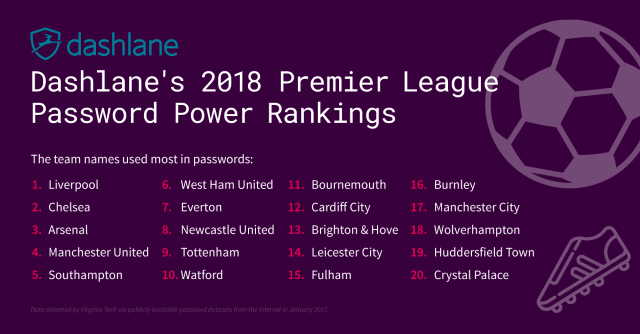 Among Premier League teams, the one mentioned most in passwords was Liverpool, followed by London stalwarts Chelsea and Arsenal. 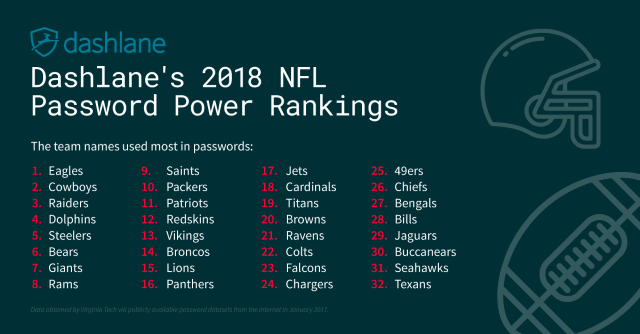 "Coming up with a password can be a very personal and emotional choice, and the data clearly shows consumers like to use the teams they support as part of their password habits," says Emmanuel Schalit, CEO of Dashlane. "As an avid soccer fan, I understand the urge to align your accounts with your favorite teams -- but it's a major security risk. Along with using names, schools, and additional personally identifiable information, favorite teams should be avoided." You can see the top 20 list of most used team names in both leagues in the graphics below.